Database design methodologies and tools should facilitate database modeling, effectively support database processing, database redesign and transform a conceptual schema of the database to a high-performance database schema in the model of the corresponding DBMS. Since the late 1970’s, various tools for database design have been introduced. Most of them, however, are dependent on the knowledge, comprehension and experience of the database analyst and their knowledge in normalization theory. 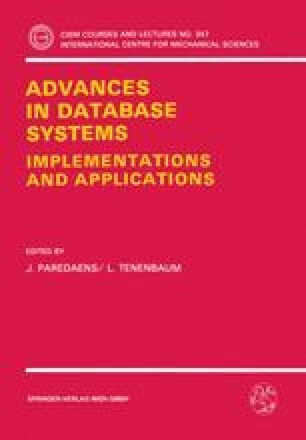 The systems (DB)2 and RAD developed in our groups do not require the user to understand the theory, the implementational restrictions and the programming problems in order to design a database scheme. A novice designer can create a database design successfully using the system. These tools are based on an extended entity-relationship model. The entity-relationship model is extended to the Higher-order Entity-Relationship Model (HERM) by adding structural constructs and using integrity constraints and operations. The system RAD has a component which enables the user to choose his design strategy according to his experience and abilities. Different database design methodologies are developed based on the HERM approach. This paper demonstrates how different database design strategies can be developed and supported. This paper surveys further the strategy support of the design system RAD and proposes the design methodology Design-By-Units.